Understand it’s not just you. I felt so alone when I lost that money and I thought it was a reflection on me. But over the years, I realized that almost every successful entrepreneur I talk to has a story like this (sometimes with more zeros on the end). So adversity is not a reflection of self, it’s just a reflection of growth and change. 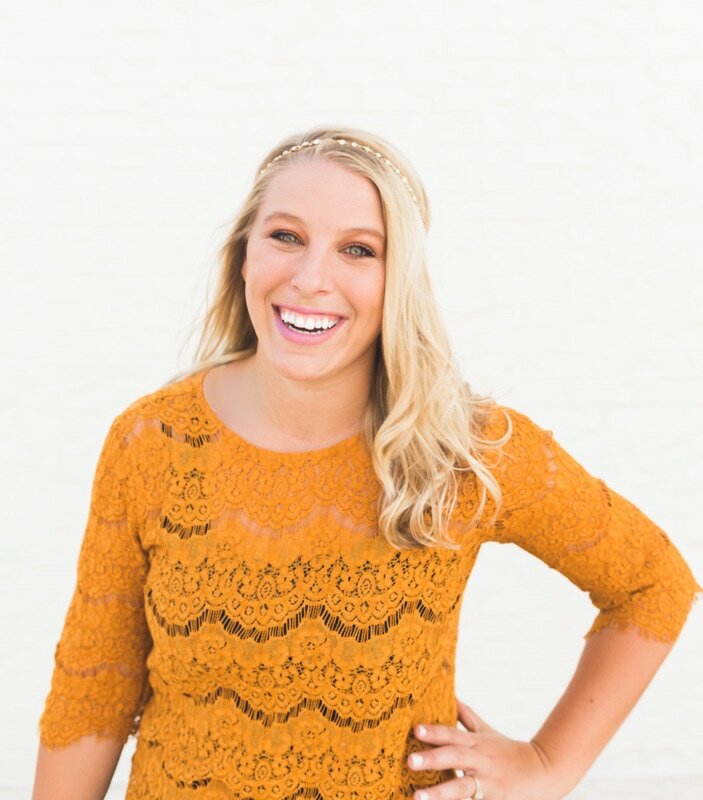 Jess Ekstrom , founder and CEO of Headbands of Hope, a company that donates headbands to kids with cancer. Jess is also a professional speaker and host of Mic Drop Workshop, an online course and community to empower women to get more keynote spots. Jess also has her first book coming out with Harper Collins in November 2019. Thank you so much for doing this with us! Can you tell us the “backstory” about what brought you to this specific career path? Growing up, I never really thought about being an entrepreneur, but I was always tinkering with something. Like I discovered eBay in middle school so I got a white sheet and hung it in my room as a ‘product backdrop.’ Then I started photographing all of my toys with my mom’s digital camera and uploaded them to eBay. I ended up selling my American Girl dolls for about $100 bucks and thought I had made it in life. Then one day my dad told us he was quitting his day job to start his own company. I saw him transform a bathroom in our house into an office and spend 10 years of his life creating a business he felt was solving a problem (which him and my mom just sold and now they live in an RV and are park rangers which I think is adorable). But I never realized the luxury I was given to see entrepreneurship first hand by someone I admired most. It was a luxury because entrepreneurship wasn’t a scary or foreign concept to me. It was simple: just create what you wish existed. Unfortunately, I think a lot of people believe that entrepreneurship is dependent upon your qualifications, age, resources, background and all of these other things that don’t matter. What really matters is your belief in the end result. What would happen if it all worked out? So by the time I was in college, I didn’t have stellar grades but I just had this confidence from watching my dad that I could be the solution to problems. I had an internship at Make-A-Wish and I saw a lot of kids losing their hair to chemotherapy. Immediately, the kids would be offered wigs or hats to cover up their heads. But they weren’t concerned with covering up their heads, they just wanted to restore their self-confidence after hair loss, so I saw so many of the kids wearing headbands, but yet no one was offering that. I did a quick google search, saw there were no companies giving headbands to kids with cancer and decided to create one myself. My junior year of college in April 2012, I started Headbands of Hope. For every headband sold, one is given to a child with cancer. Can you share your story of when you were on the brink of failure? First, take us back to what it was like during the darkest days. There are definitely a few “bring of failure” stories that come to mind, but one definitely takes the cake. It was in the early days, pre-launch at Headbands of Hope. I was looking for a manufacturer to create the headbands for me. I found one that I thought was a good fit so she sent me some samples and we had a lot of calls talking through the designs. Two months later, I was ready to start producing one of the samples that was sent. She sent me over the invoice to get started…and it was for $10,000. In hindsight, I know I should have asked more about pricing before, but being 19 years old, I felt insecure about talking finances when I shouldn’t. It’s silly, but I felt like I should be “grateful” that they’re willing to work with me so I shouldn’t question them. I didn’t have $10k (not even close) so I asked my dad for advice about whether I should get an investor or a loan from the bank. After a long conversation, he said he really believed in my idea and didn’t want me giving up a piece of my company too early, so he’d loan me the cash and I could pay him back when the business started to make money (huge gesture that I’m forever grateful for). I ran to the bank. Wired the factory $10,000. And I never heard from them again. What was your mindset during such a challenging time? Where did you get the drive to keep going when things were so hard? It was one of the hardest moments of my life. We went to court and didn’t have any luck because the money was gone. Not only did I feel like I failed this business idea, I felt like I failed my dad who believed in me. There was a quick period of “why me?” and some tears, but I realized that was getting me absolutely nowhere. Tell us how you were able to overcome such adversity and achieve massive success? What did the next chapter look like? A few days later, I realized that this could either be a dead end or a U-turn, and that was up to me. Because dead ends and U-turn can look exactly the same, but it’s up to us how we respond. This business idea had so much purpose and meaning charged behind it, that I couldn’t throw in the towel. I got up and went to my university (I was still in college) and applied for a $300 grant they gave to students who were starting businesses (mind you, I lost $10,000 but any bit would help). I used that $300 and bought two different types of headbands in very low quantities from a very nice lady on Etsy and launched HeadbandsOfHope.com on April 25, 2012. Today, we have over 200 headbands on the website, our own warehouse, we’re carried in 1,500 retail locations, we’ve had countless celebrities wear our headbands and most importantly, we’ve donated headbands to every children’s hospital in America and 15 countries. In the face of adversity, think about: what would happen if it all worked out? If your answer is compelling enough, there will never be anything too big to stand in your way. But in order for us to be resilient, we have to believe in the end result. Look at what you have. I could have focused on the money that was gone that I needed to recoup, but instead, I focused on what do I have right now. I have a university. I have an entrepreneur program. I have an opportunity for a $300 grant. Let’s start there. None of us are able to achieve success without some help along the way. Is there a particular person who helped get you to where you are? Can you share a story about that? I think we can all understand from this story that my dad was a huge supporter. But outside of him, my freshman year college roommate, Lauren, has been my shining light in all of this. What started with an offer to “help out” when I was first launching turned into being my first employee and now she’s president of the company and oversees all operations. She’s been through the ups and downs and has always remained strong and optimistic. I think when you’re an entrepreneur, you think you’ll never find someone who cares about your business as much as you do. Lauren is living proof that that belief isn’t true. Since starting Headbands of Hope, I got asked to speak at a lot of events. At first, it was just a fun thing to do and spread the word about my company. Now, I speak over 50 times a year at different events, conferences, companies and universities around the world and it has become a whole other business I didn’t anticipate. But one thing I noticed on this speaking journey is the lack of women keynotes, which is why I created Mic Drop Workshop. Mic Drop is an online course and community for women who are wanting to make an impact and an income through public speaking. It has been so amazing to see so many incredible women with powerful stories gain the tools, connections and confidence they need to start or grow their public speaking career just by sharing what I learned. I think it’s so important to get the stories from our elders. They have so much wisdom and unique insight but not as big of a microphone as we do. I would love to encourage people to talk to their grandparents or senior citizens in their lives and record their stories. I’m launching a podcast interviewing senior citizens with my mom called Senior Year- so stay tuned! Any parting words of wisdom that you would like to share? If there’s one thing I want people to understand it’s that everyone is just figuring it out. No one really knows how life works or what we’re doing, so don’t wait to move until you have certainty or clarity. Just get going, see where it takes you and I guarantee you’ll figure it out along the way. Female Disruptors: Jess Ekstrom is giving children hope.